Integrative Aquatic Therapy (IAT) is a blend of body mind therapies that heal trauma and shock from the earliest stages of life. This might involve bonding and attachment issues with the mother, physical and emotional traumas from a difficult birth, the effects of pre & perinatal toxins, being “discovered” in the womb, the influence of generational patterns, and many other injuries of a physical, psychological, and spiritual nature. If pre and perinatal injuries are not treated, it can complicate the healing from future injuries, such as a car accident, and it can lead to difficulty in future relationships, such as trouble bonding or setting healthy boundaries. It is often a present day trauma that leads a client to seek therapy. IAT sessions often weave between the past and the present. By addressing the weaknesses in these foundational structures, lasting change can occur. IAT is practiced in a warm therapy pool. By using skills such as Watsu (Water Shiatsu) and WaterDance (yoga-like stretches and movements in a graceful, aquatic dance), trauma and shock is released from the body tissue. With the support of the warm water, long held tension patterns unwind. The tissue learns to breathe again. In this weightless environment, healthy movement patterns are rediscovered. Movement is learned from a place of embodiment, ease, and grace. Once trauma has been released, the energetic sense of self is free to inhabit the body without conflict or tension. IAT draws on the work of craniosacral therapy and the developmental movement work of Bonnie Bainbridge-Cohen and Annie Brook. IAT restores health to the body, mind and spirit. Since most traumatic injuries impact the body and mind on a level that is pre-verbal, IAT draws heavily on these somatic based skills. The heart of the therapy, however, is a cutting edge psychological understanding of shock, trauma, self-development, and healthy relationship boundaries. IAT is an empowerment based model that strengthens the sense of self. A cornerstone of the therapy is the cultivation of healthy psychological and energetic boundaries. It is only when a client feels empowered and safe that true healing occurs. When facing emotional or physical trauma, it is the reclaiming of power that allows the fight or flight response to yield. When the tissue and psyche feel safe, the autonomic nervous system can balance. Then true relationships can be formed. IAT draws on the psychological traditions of Self-Psychology, Gestalt Psychology, Family Systems Theory, Pre & Perinatal Psychology, and body-mind approaches to the healing of shock and trauma. In IAT sessions, verbal dialogue is interwoven with somatic healing. 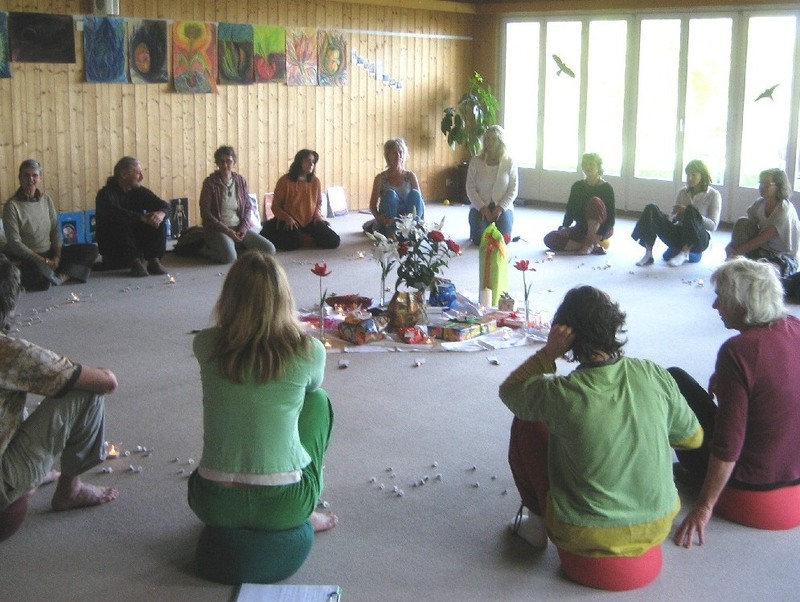 This multi-disciplinary approach allows early traumas to be safely navigated and resolved on the deepest body-mind level. Sessions are known for the qualities of grace, spiritual depth, deep body relaxation, profound psychological insight, and for the lasting change that occurs in a relatively short period of time.